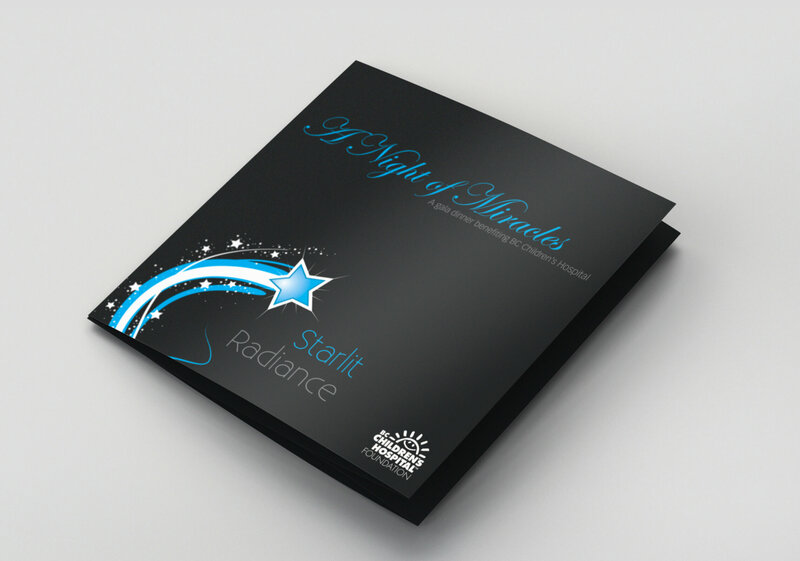 A Night of Miracles Gala is a South Asian community, invitation-only, black-tie gala dinner held in British Columbia, Canada. This inaugural gala was an initiative of the South Asian community to celebrate its culture and acknowledge the community’s tremendous generosity toward children’s health. The community raised $78,606 for two life-saving heart-lung machines for the BC Children’s Hospital Foundation (BCCHF). 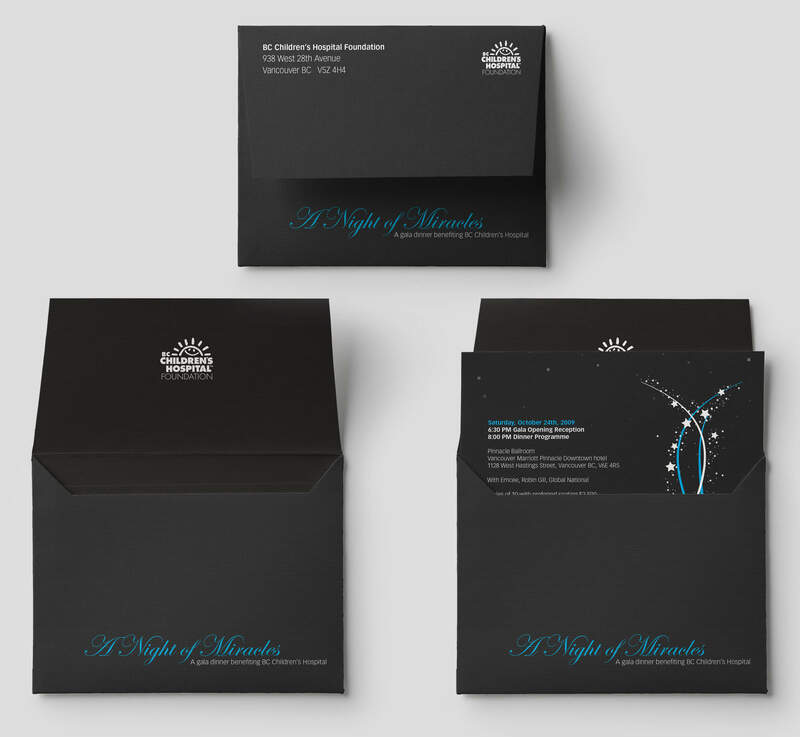 I was approached by the Night of Miracles Cabinet to help design the campaign for the inaugural gala. I couldn’t think of a better way of lending my services to help affect change and support a hospital that took care of me when I was 6 and 8 years old. This was my first time donating my time in a professional capacity for a charitable event. The Cabinet provided me with a project brief and timeline for the campaign. The project required a dozen different pieces that needed to be created such as signage, invitations, packaging, tickets and program guides. 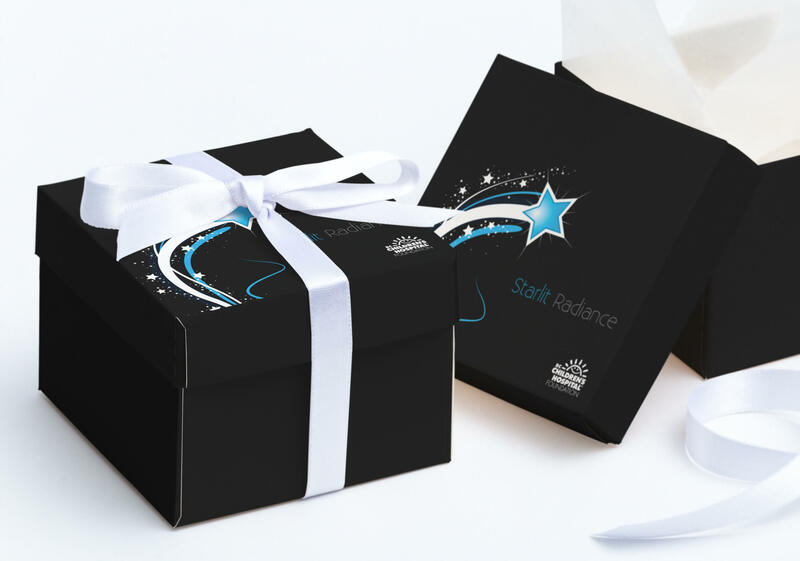 They decided on the name “Starlit Radiance”, and hoped that this would be different every year to help distinguish between events. 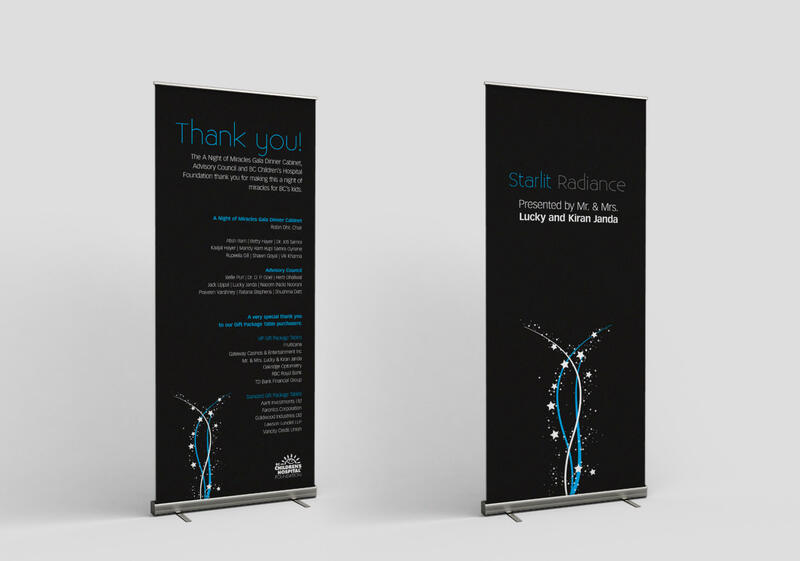 The main goal was to create a simple and clean design that would match the black-tie event. I wanted to create a color palette that was black and white, with one feature colour. I choose cyan as the feature colour because it brings feelings of tranquility and calmness. In terms of visuals, I focused heavily on stars, trails and movement based-off the event name. The balance between elegant and whimsical perfectly paired the seriousness of the adults and the playfulness of the children.